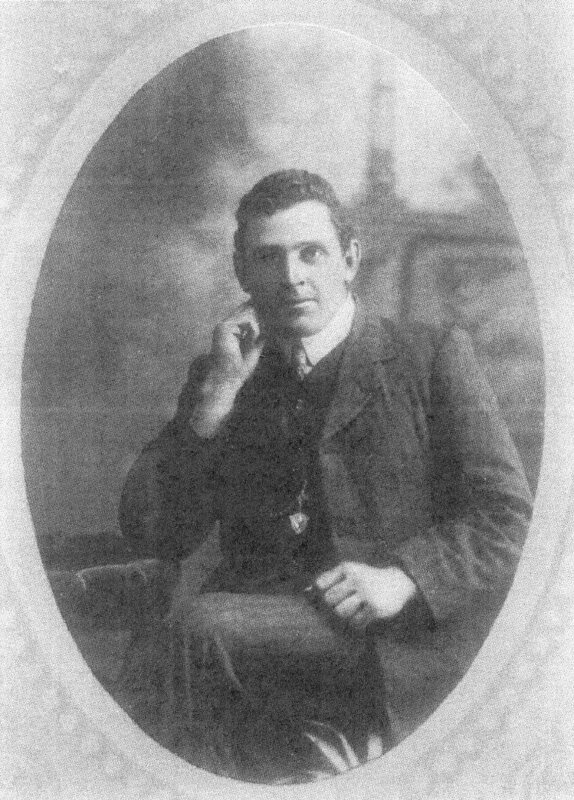 Edmond (Eddie or Ted to his friends) O’Reilly, born in January 1887, was the son of Michael and Ellen O'Reilly (nee Bradley) of Rocky Gully, Albury. Michael and Ellen were married in 1884, but Ellen died at 31 years of age in 1889 only two years after Edmond’s birth. The couple had three children: Edmond, Norah (b.1888), and Mary Ellen (b.1885). Michael remarried, to Mary Ann Smith in 1892. This couple had eight more children: Francis Alosss (b.1893, John (d.1894 aged 1 day), Michael John (b.29 Oct 1895), Elizabeth Agnes (b.1897), Mary Gertrude (b.1899), William (b.1900), Margaret Fidelis (b.1902), and James Bernard (b.1904). Eddie was initially schooled at a private Catholic School, either side of a brief period of schooling at Leeston School, where the family was living. In 1897 though he was enrolled in Standard 3 at Albury, where he was schooled until 1900. After leaving school he worked in the area for a while as a shearer. He played rugby for Albury and was part of the team that won the Country Flag Championship in 1909. However, he eventually moved to the North Island, working for a time for Mr F Gammell, Karikau, the Taumaranui, Tangarakua, Wanganui River, Otane and possibly went to Sydney for a short time. On enlistment Eddie was working for J T Hewitt of Big Hill, Kereru in Hawkes Bay on 7 October 1914. He sailed from Wellington on the Tahiti or Athenic as a member of the 2nd South Canterbury Battalion about a week later. Eddie often wrote home – see the attached biographical notes for some extracts of the letters. His last letter was sent in mid-June. Having spent some time in hospital he re-joined his unit at Gallipoli and was killed in the region of Chunuk Bair on 7 August 1915. He had initially been reported missing, believed killed. A court of enquiry eventually confirmed he was killed but his body was not recovered. Several letters in his file from his father asking what had happened but like other similar tragic cases no concrete answers could be given. Eddie’s step-brother, John O'Reilly (aka Jack, born Michael John) also served (service no.28910) died during the war on 11 August 1917.